I saw this pin and immediately knew I had to try it. The Hubster bought the longest phone cord you can imagine, which is great and all….but it’s ALWAYS stretched across the floor! I mean, this thing is like 3 or 4 feet long! I originally thought that there was no tutorial for it, so I just went with my gut. Now that I’ve done some more clicking…I found the tutorial (click “SOURCE” for the original). UGH, but I think I did just fine! 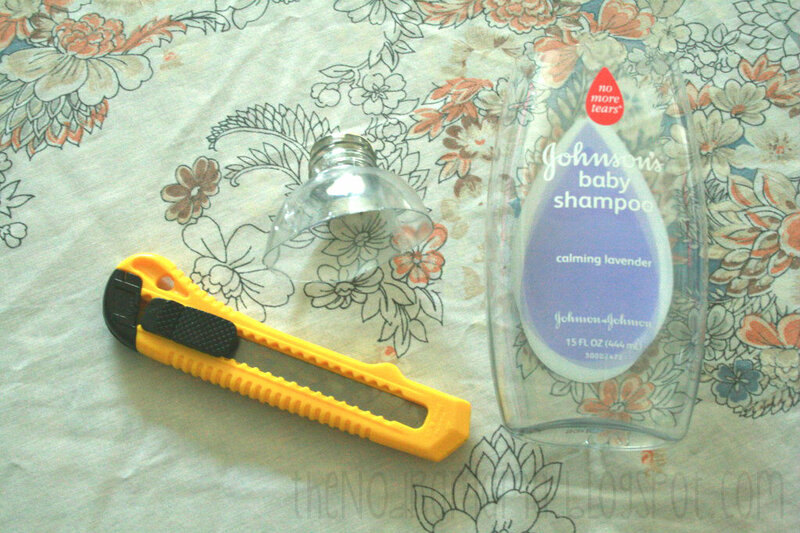 Rinse out your bottle and cut the top off. 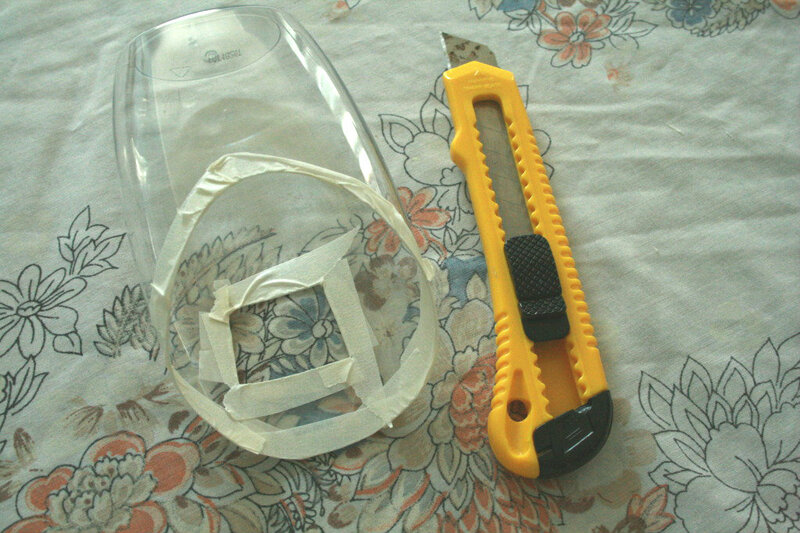 An Exacto knife works best, I think. 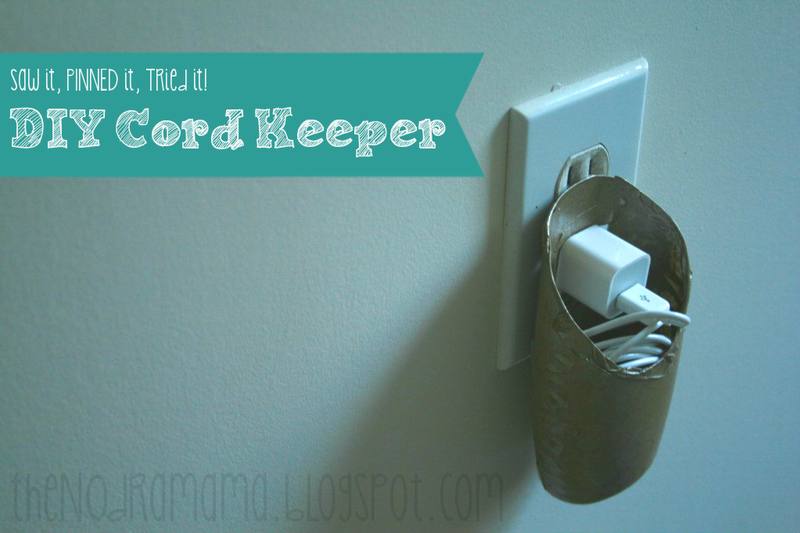 Then use scissors to cute out the shape of the cord keeper. Just keep snipping away until it looks right to you. 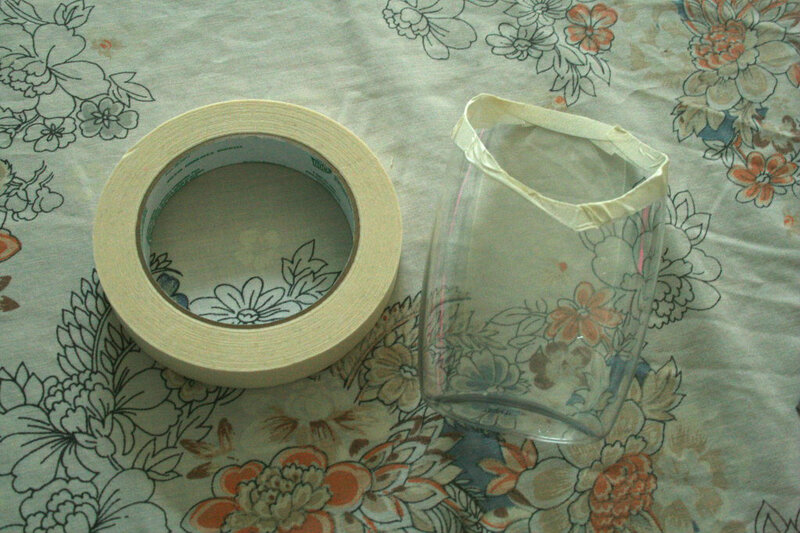 Tape the edges. 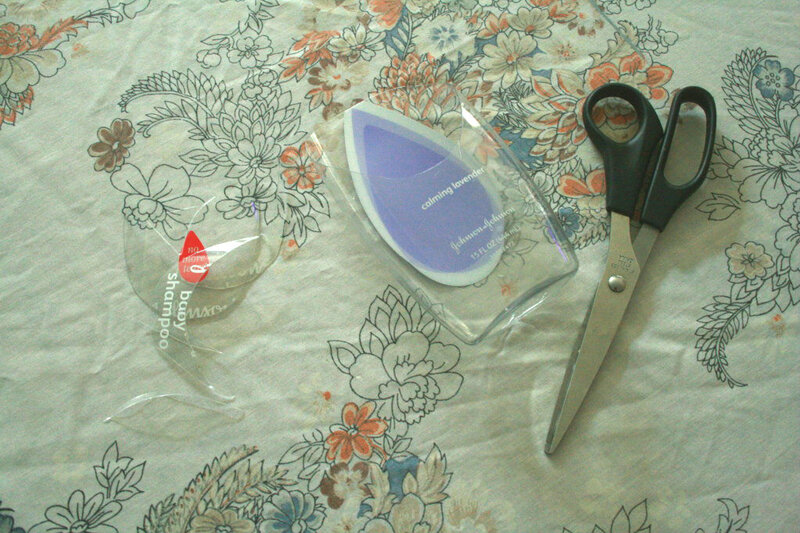 This type of plastic can be surprisingly sharp! Break out the Exacto again and cut out a hole for the plug. Put some tape there too!